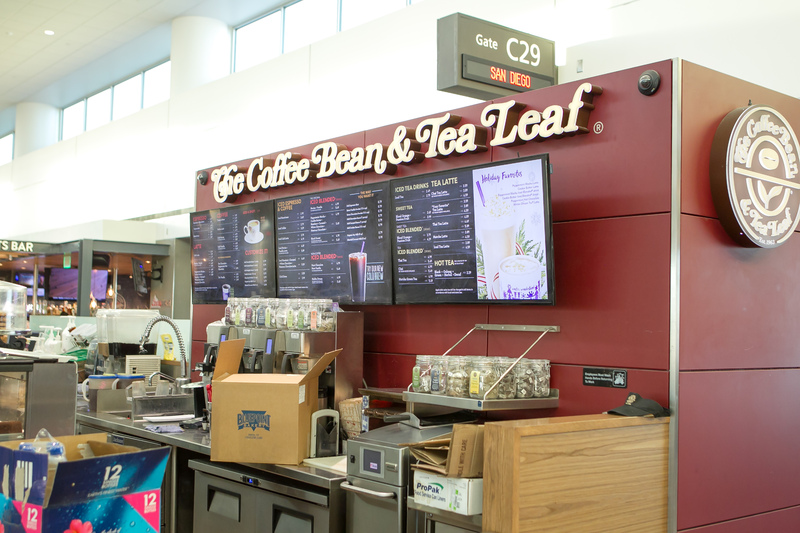 The Coffee Bean and Tea Leaf location at Denver International Airport hired us for a build-out of a 670-square-foot coffee kiosk. We created a concession area with walls, cabinets, plumbing, electrical work, and POS stations, as well as new finishes for floor tiles and millwork. 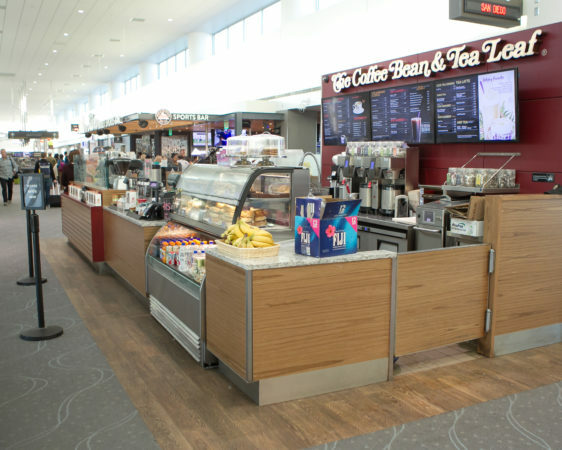 The work also included the installation of three digital menu boards, kitchen equipment connections, and wiring to the security cameras.